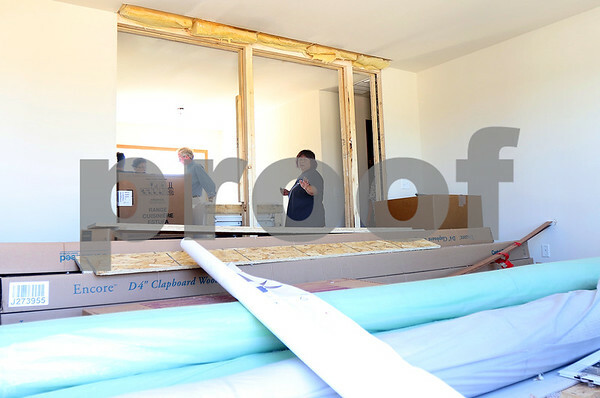 Geri Hopper, daughter of Irene Clay, tours Clay's new home after only a couple hours of being pieced together in Fairdale on Monday, September 14, 2015. The modular home was transported in two halves and connected on site. Irene, after a downward turn in health, was unable to attend the significant occasion representing the rebuild of the town affected by the April 9 tornado.